Some things I learnt today! Removing the mudguard and fitting a tail tidy causes a dirty helmet and jacket when riding down country lanes in the rain, but your trousers will stay clean. 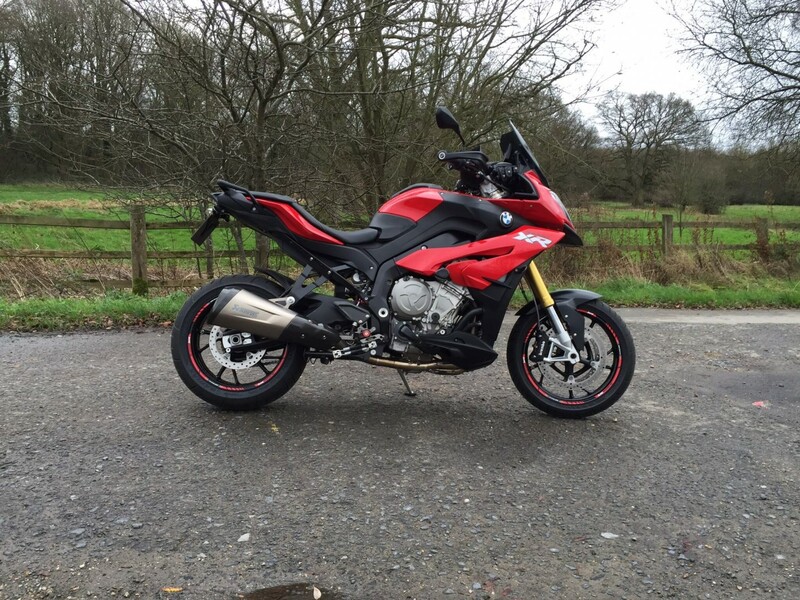 The full Akrapovic system is incredible. The noise. The flames. The performance. I couldn't find any flat spots, so can't see the benefit of a power commander or remap at this stage, but I'll put a few more miles on before deciding whether to leave it as is, or fettle some more. The XR loves wet muddy country lanes more than I do. Had a couple of two wheel slides on some fast slippery greasy bends, but I'm still here to tell the tale. Changing the crappy headlight bulbs to Philips Extreme Vision bulbs, although not as good as HID or LED, make a noticeable difference. With so many crevices and fiddly parts to clean, a pressure washer is a must have, especially this time of year. The XR isn't the perfect bike for winter riding, but with a bit of restraint does just fine. All in all, a great day, albeit very wet and windy! Re: Some things I learnt today! HIDs work well nod plenty of space for the ballasts albeit well fastened because they will jam the forks if they get loose (used rather sturdy ties and a lot of them). Nick - The temperature does go up when in stop and go traffic conditions even without radiator guards. I have Evotech radiator and oil cooler guards on my XR and ride extensively in the hot Arizona desert and have never had my bike overheat. Yep, you're being paranoid! I've had them on this bike, my S1000R and all my GS's, and never had a problem, even in southern Italy in the middle of summer. 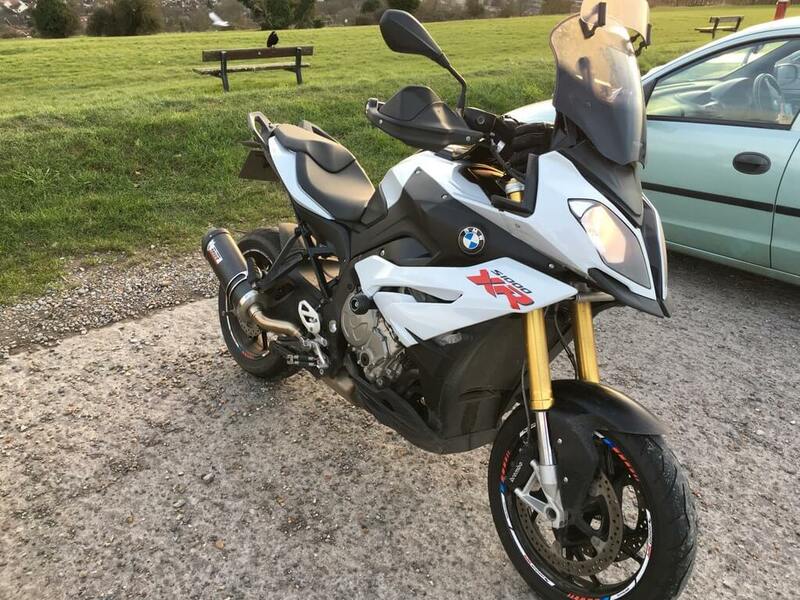 Hi, I've ordered a sport se for next month and I'm keen to replace the luggage tail grid with the base model grab handles and I noticed in the pic of your bike that you have perhaps done the same. Can you confirm and if it was a straight forward swop? I've done it as well as Rich and its 4 bolts, less than 10 minutes total. Piccie of dirty bike, but you get the idea. Yep, 10 minutes max. It'll come off with the rear body coloured panels in place, but it's tight, so it may be worth removing them to avoid scratching them. Thanks for prompt reply. I assume you just ordered the parts from your dealer - how much were they and do you use the original bolts? My bike came with both types of grab handles, but you're looking at around £85 less any discount.